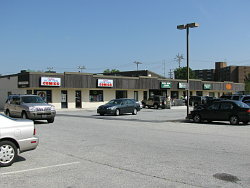 Market East Plaza is located at 280 East Main Street in downtown Newark, Delaware. The total size of the property is approximately 3.46 acres and includes five buildings. The parcel including buildings 1, 2 and 5 is zoned BC while the parcel which includes buildings 3 and 4 is zoned BLR. 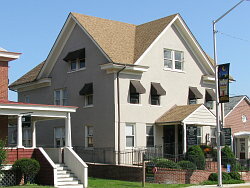 Building 1, located at 276 East Main Street next to East End Cafe, is approximately 12,400 rentable square feet total, (7,450 square feet on the first and an additional 4,950 on the second floor). Construction for the first floor is stucco finish on three inches of Dryvet insulation over block with the second floor 2x6 studded walls with cedar siding. All windows are low E-glazing thermal insulated. Building 2, located at 280 East Main Street is approximately 24,700 rentable square feet with an additional 10,700 proposed to be built. Construction is stucco finish over three inches of Dryvet insulation over block. All windows are low E-glazing thermal with insulated overhead 10' x 10 ' doors. 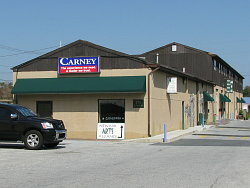 Building 3, located at 282 and 284 East Main Street, is approximately 5,000 rentable square feet. 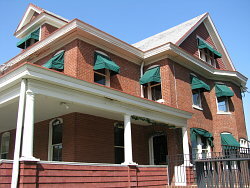 This is a 3 story building approximately 100 years old with brick construction. For most its life, this building was a residential duplex, but In 1995 it was converted to retail use. There are hardwood floors throughout, window trim, pocket doors, 10 foor ceiling and lots of frontage on Main Street with a large front porch. Building 4, located at 288 and 290 East Main Street, is approximately 3,900 rentable square feet. This is a 3 story building approximately 100 years old with brick construction. This building was also a residential duplex. In 1975 it was converted to offices. One of the best features besides the location is its handicap accessibility – In 1996 a brick handicap access of approximately 75' was constructed to meet with ADA compliance for both this building and building #3. 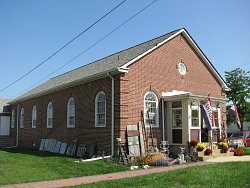 Building 5, located at 294 East Main Street, was originally built in the early 50's as a church. During the life of this use, a gymnasium was built in the back as a youth center for the church. In 1971 The City of Newark purchased this property to house the Newark Police Station and built an addition to house the jail cells; in effect joining the church and gym. During this time the Newark City Council held its meetings in the gym until moving to its present location on Elkton Road. The building has two floors of equal size, and is approximately 5,600 rentable square feet. The first floor was the main church with hardwood floors, 6' tall curved opening windows and a 25' cathedral ceiling. The basement is full size with two entrances front and rear. This property is currently housing an antique mall.